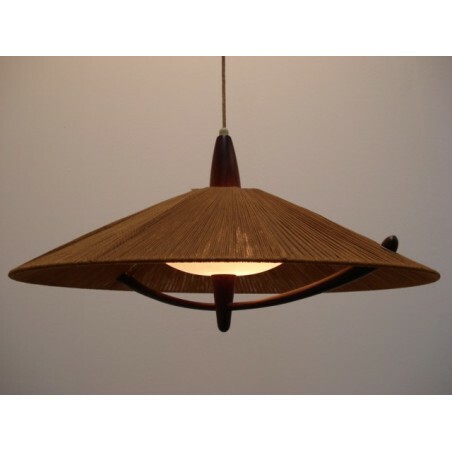 Exclusive vintage design hanginglamp of the fifties. 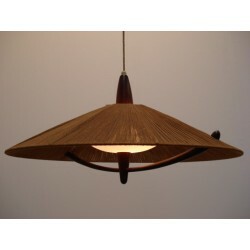 The lampshade is made of rope ( top), plastic and wood. The lamp is in a mint condition. 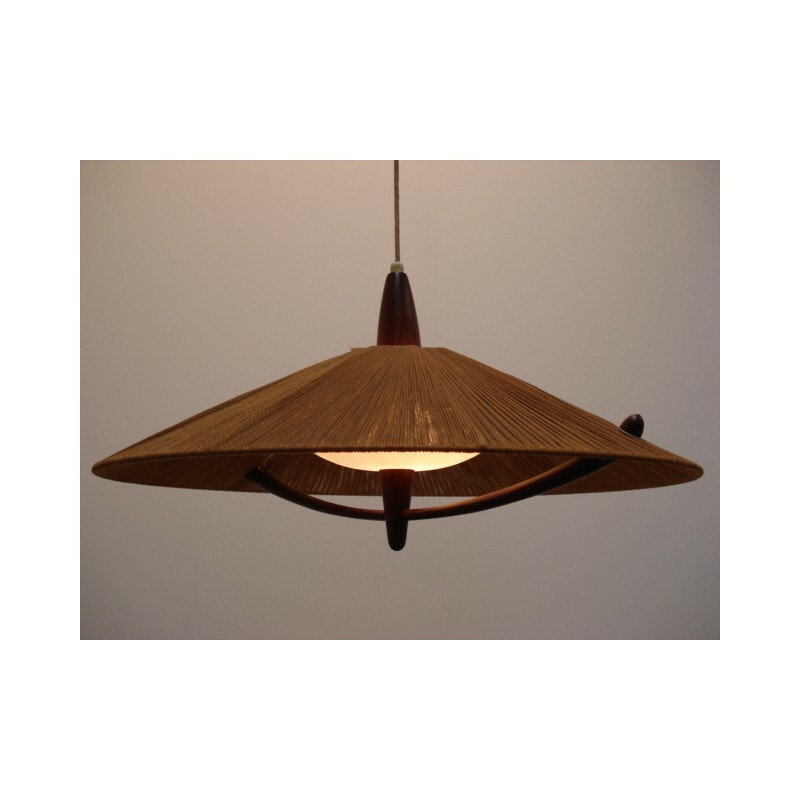 De lampshade is 64,5 wide.